On International Women’s Day, it is worth noting the grim picture of IT tech sector – the representation of women in tech is dismally low. There is just one woman engineer as against three men engineers. 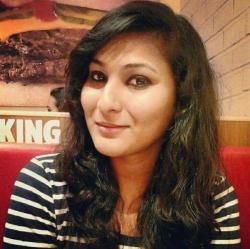 The overall representation of women in the engineering workforce of IT firms is just 34 percent. And out of 5 million developers in India, only 18 percent are women. To eradicate the gender gap, women coders or programmers need to be encouraged to continue with their chosen career. And to increase the demand for top talent in the industry, new women programmers need to be brought into the system. Big companies like Google, Adobe, Accenture, Walmart, among others are clamouring for better representation of women in the IT sector. Thanks, to their valuable campaign the number of women is growing in IT sector and they are coming out of the shadows to participate during the hackathons and other tech events. Walmart Labs is launching a hackfest exclusively for women, who can create and innovate through technology. Starting from April 19 to 20, women will build products under following themes: health and fitness, wearables (IOT), Travel, social, reinventing retail. So far 1,453 participants have registered for the hackathon. As it is a physical hackathon it will be conducted in Walmart Labs office premises in Bengaluru. Both individuals and teams can compete, but they must identify as a woman. No male participants are allowed. If you are a female and you love coding, visit the website to register now. Deadline is March 21. You do not have to pay anyone to register yourself for the Hackathon. 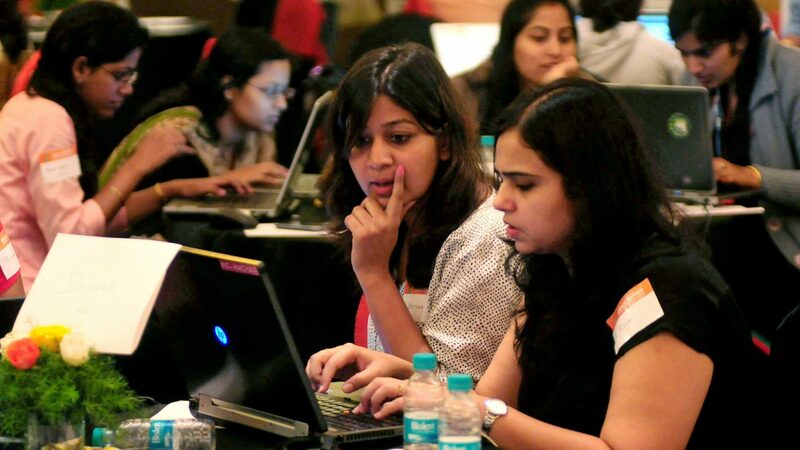 HackerEarth and Schlumberger are conducting an online Hackathon targeted at women developers across the globe, with an aim to encourage them to take up programming. The hackathon is live now, it started from February 20 and will go on till March 12. Women developers will build products under any of the following four themes – women’s health and safety, economic freedom, social impact, innovation. You need not have a coding experience. Interested hackathon enthusiasts may visit the website to apply. Prizes include $2500 for the winning team, $1500 for the runners-up and $1000 for the second runners-up. The main goal of this online codeathon is to bring women from interdisciplinary backgrounds to produce a creative solution to a socio-cultural or socio-economic problem. Simply, a diverse team is needed to solve a problem in their community with the online hackathon. Registration is now closed and the winner will be announced on March 30. Only women participants will be considered. No male contestant allowed. The programming challenge will begin on March 23 and will end on March 25. Click on the website to register immediately. You will receive a reminder email 3 hours before the challenge begins only if you registered for the challenge. Before you attempt programming questions, you should choose a language from the list. Top 3 winners will get up to Rs 100000. Women Who Code is the largest and most active community of engineers dedicated to inspiring women to excel in technology careers. The events are intended to inspire women to excel in technology careers. The event is scheduled for March 23. The community is for professional women in technology careers, including software engineers, developers, UX/UI designers, data scientists, among others. Aspiring coders can also participate. The events will offer free hands-on technical events, study groups, panel discussions, lightning talks and keynotes featuring influential tech industry experts, innovators and investors. The idea is to build the skills the participants need to raise their professional profile and achieve career success. Visit the website, if you are interested to attend the event. Is YouTube’s Recommendation Algorithm Really Working?